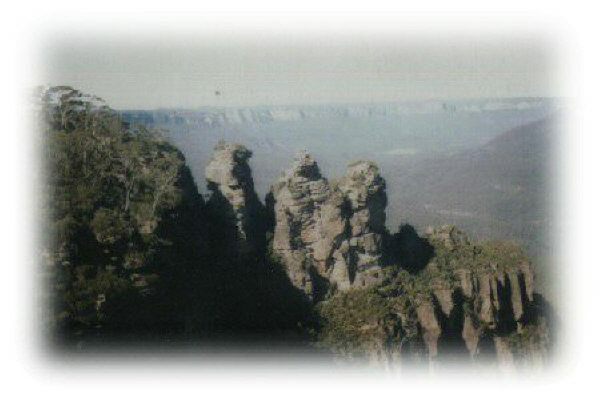 The Three Sisters in Katoomba. This is one of my favourite places, in winter this area can be covered in snow, it's a beautiful view, every year thousands of people visit this area.There is a Dreaming story about the Three Sisters, I will try to put a few Dreaming stories further on for you to enjoy. All of the small townships on the Blue Mountains cater for tourists, there is many Motels, Hotels, Guest Houses for every budget.